Indian Stock Markets may decline as Global signals are very weak. Investors are suggested to book profits and stay away for next two weeks. General Motors is bullish about Indian Auto market. Team India waits for ICC decision regarding ban on Harbhajan Singh. Investors showed tremendous interest in Reliance Power IPO. 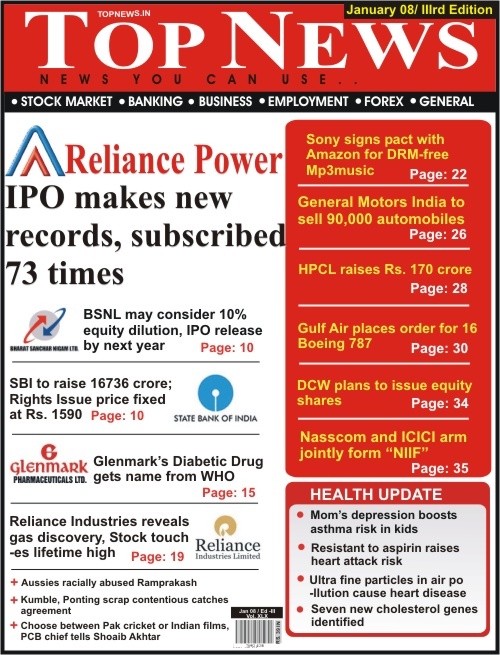 Reliance Power IPO makes several records. Investors confident about Indian Companies. Stock Picks: Neyveli Lignite, SBI, Suzlon Energy and Glenmark. All stocks are good to be bought on declines.